Today we saw Rams and more…this show had the best and most loyal fans…they even asked Yak to play his most demonic music..from back in the day..
And now we are at urban lounge shmoozing 🙂 shout out to chase and uprok records. It’s a great store with graf b boying and culture that is so needed in the city of salt lake..
Ahah…anyways…I love you guys..drop a super cool line..I’m not sure why I need them but maybe because I feel better when you do? 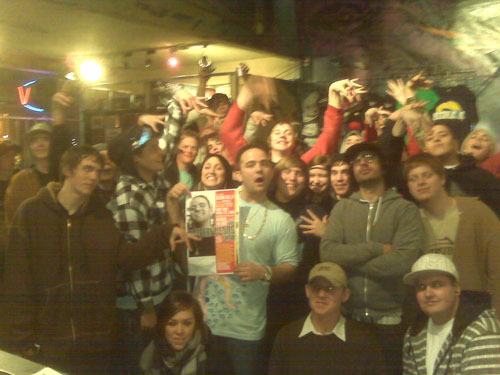 I’m getting koshadillzworld.com started so..yeah..we need you guys and gals to support kosha dillz mucho..just like the mormons do! !